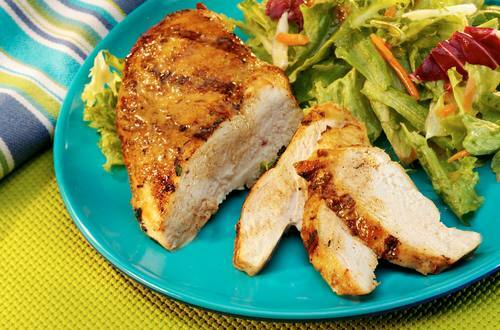 1 For marinade, combine Hellmann's® or Best Foods® Real Mayonnaise, seasoning and soy sauce. Pour marinade over chicken in large, shallow nonaluminum baking dish or plastic bag. Cover, or close bag, and marinate in refrigerator, turning occasionally, 30 minutes. 2 Remove chicken from marinade, discarding marinade. Grill or broil chicken 12 minutes or until chicken is thoroughly cooked, turning once.